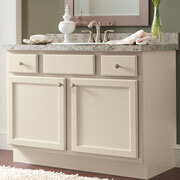 ProSource® of Nashville is your reliable resource for bathroom remodel materials and products. Whether your client wants to replace the bathroom sink or renovate the entire space, our showroom will provide you with the best products and the highest quality materials on the market. If you’re looking for business assistance, we also offer expert designers and dedicated account managers to our trade pros to help with projects from start to finish. Visit our showroom today to browse our vast selection of products and materials and meet our friendly, professional staff. 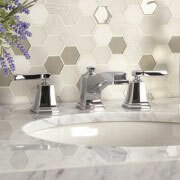 Whether your client is looking for a standard basin or an elaborate feature, ProSource of Nashville can help. 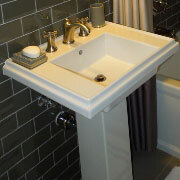 We offer a great collection of designs, styles, and colors to suit your client’s bathroom remodel project. A sink is simply a basin without a faucet. Bring your client in to browse our high-quality assortment of bathroom faucets from classic to contemporary styles, designs, and colors. Among the various components like doors, handles, faucets, heads, and more, a shower remodel is a big project. You will find the brands, products, and materials at our Nashville showroom to complete your client’s shower renovation project. It’s tough to find extra storage space in a small bathroom. Why not try a bathroom vanity? It will add storage space, a mirror, lights, counterspace, and more. Visit our showroom to find the best vanity for your client’s project. Bring your client’s bathroom tub vision to life. 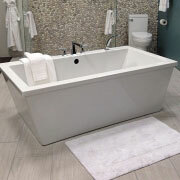 Our collection of jacuzzi, standard, and specialty tubs will meet any of your client’s needs. Complete their tub remodel project. Visit our showroom today! 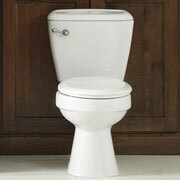 When searching through new toilets for the perfect porcelain, remember that it’s about function before aesthetic. Although you want to deliver a beautiful toilet for your client’s bathroom remodel, you also want to make sure it’s the best toilet for them.